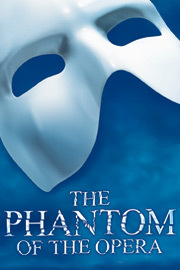 Theatre Trivia Tweet: Phantom Originals | All Tickets Inc.
Phantom has given over 11,000 performances.. In the original cast of The Phantom of the Opera, which has been running on Broadway since 1988, who played The Phantom and who played Christine Daaé? Michael Crawford played the title role and Sarah Brightman was Christine. Both won Tonys.